When the Summer breeding seabirds leave the island around late April to mid-May it seems a bit strange and quiet. No longer the angelic white terns flutter overhead and repeatedly come ashore with fish adeptly lined up in a row in their beak for their ever-hungry young. 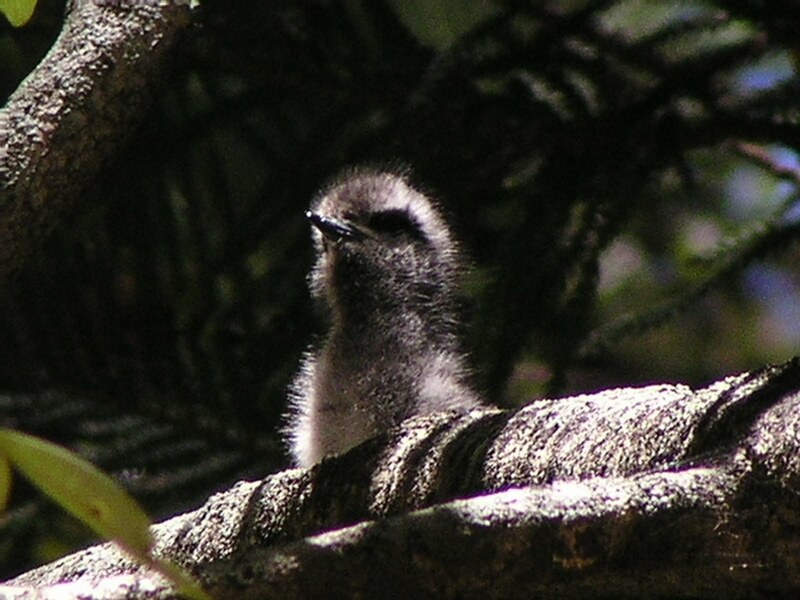 The adult birds, athough appearing frail have the toughness required of seabirds. It's a hard life for them all, especially when demanding chicks are constantly on the lookout for their return from fishing trips. 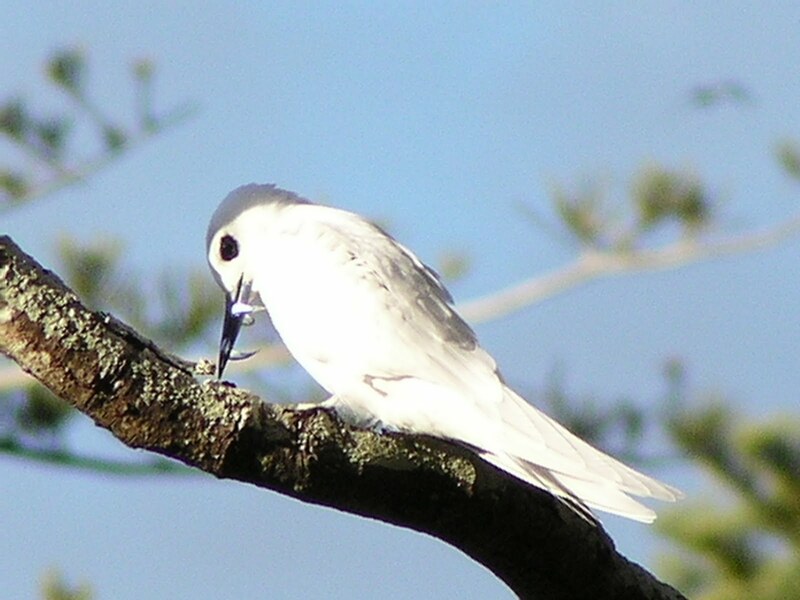 They barely drop the small fish into the gaping beak before they are off again on another foraging trip. It can seem as if nothing will happen until they return, but then it starts to get interesting. Around Easter the weather changes down a gear, the temperatures drop and the heat and humidity give way to fresher, crisp days. We experience the majority of our rainfall in the Winter months, welcome and refreshing after the rainless (but humid) hot Summer over Christmas. The wind shifts to the South, the sea becomes rougher at the southern end of the island, and birds start to appear unexpectedly, blown off course or out to sea from other lands when they get caught up in the storms. First we saw Swamp Harriers Circus approximans high overhead, which regularly arrive from New Zealand to our south, where they are very abundant. Most years in the Autumn 2 or 3 will arrive and hunt over Norfolk and the offshore islands for much of the Autumn and Winter months. 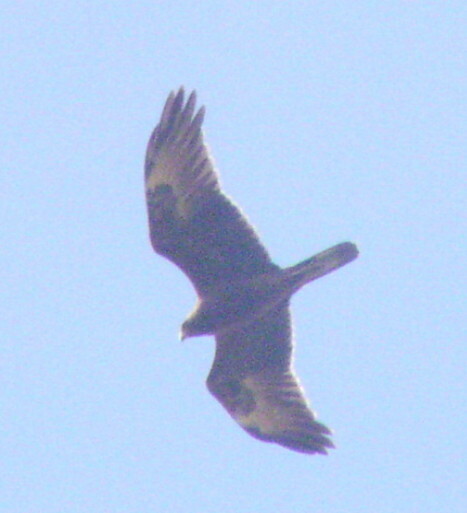 Two have been regularly swooping above Nepean Island, about 1km south of Kingston since Easter, and were still there today. They also come ashore and work up and down the valleys. They are highly visible, dark raptors many times larger than the Australasian kestrel, our only other daytime predatory bird. While other matters have recently distracted me there have been many visitors and blow-ins. In fact I have an embarrassment of riches in my backlog. 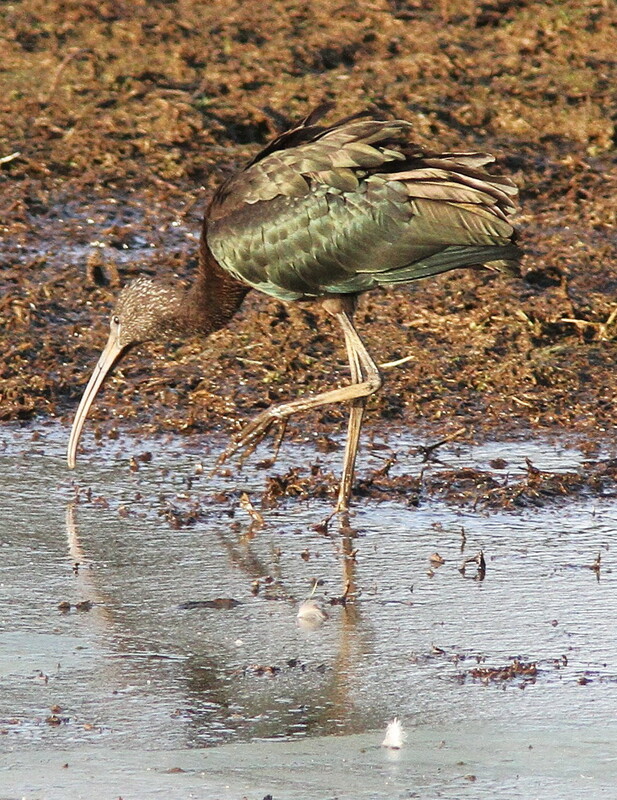 In June we were visited by a pair of Glossy Ibis Plegadus falcinellus as usual for the freshwater birds, in the wetlands in the Kingston area. Three of us captured images over the weeks they were here. This one is John O'Malley's. Only one bird remained after about 2 weeks, and that too has now disappeared.